Over 35 years in the torque converter business means Joe Rivera, Jr. has learned a thing or two about a thing or two in the process. 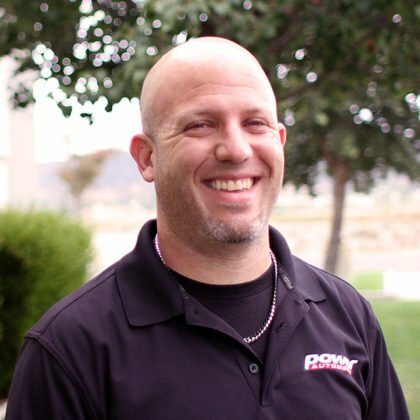 His company, ProTorque Performance Products (PPP), was established in 2016 as a manufacturer of custom performance torque converters for the street and strip, drawing upon the experience he earned with his time at the original ProTorque, founded by his father, Joe Rivera, Sr.
At the 2018 World Cup Finals, Mike Ziccardi became the first racer to crack into the 5-second zone on the true 33×10.5W slick tire used in Outlaw 10.5, and he did it with a Pro Torque converter. In one form or another, ProTorque’s innovative products have been inside the bellhousing for some of the most impressive achievements in the drag racing world over the last decade-plus. If you’ve never met Joe, he’s an exuberant man, full of confidence, but also humble and thankful for the relationships he’s forged over the years which have helped him, and ProTorque by extension, to become a true force in the industry. Many years of torque converter manufacturing experience across all facets of the power transmission landscape—including a fair amount of research-and-development work performed with some of the well-known OE automotive manufacturers—have provided the engineering relationships and knowledge necessary to develop products to change the performance world. Those relationships have pushed Rivera and his team to develop a wide range of products which have changed the racing landscape for the better. 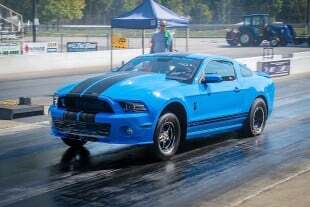 In 2016, Kevin Fiscus became the first racer to run a 5-second quarter-mile on drag radial tires, doing it with an EV1 converter backing up the twin-turbo engine in the pretty blue coupe of Fiscus/Klugger Racing at the World Cup Finals—the 5.97 at 251.77 mph set the drag radial world aflame at the time. In 2016, he took a big risk, spinning PPP off from the original ProTorque OE converter business, selling that company, and renewing his focus on performance and performance only. But he could, because ProTorque’s race converters have proven themselves many times over, and he felt that the singular focus on the performance business was the right way to pursue the future, as you’ll read below. Rivera is always on the move, thinking two steps ahead into the design of his next innovation, and as a result is a hard man to pin down. We pulled some strings, stayed up late one night, and picked his brain to talk torque converters, where ProTorque has been, and where it’s going. 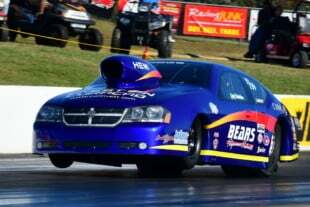 In 2016, Pro Torque’s proprietor, Joe Rivera, stepped out of the OE replacement torque converter business and into the racing world full-time with Pro Torque Performance Products. Dragzine: What brought about the decision to get out of the OE torque converter business, and put yourself behind the desk of a startup after so many successful years making parts for both OE and performance? Joe Rivera: You find the right deal, and you find out what happiness is really like, and you decide you want this. Divorce is really the best thing to ever happen to me, because I realized I wasn’t happy and decided I was never going to be unhappy again. That’s what led to me doing this performance-only gig. I was unhappy about the OE business, chasing transmission shops that didn’t want to pay for a $100 converter and I was chasing them 90 days to get paid. When the volume was there and we were dropping 10 or 15 converters at one shop it made sense, but those days are gone. It became cost-ineffective. And I was never able to focus on one thing only. Taking this risk was definitely worthwhile, because for the first time I’m able to focus on one single entity. DZ: You really started to get a handle on the racing side of things in the 1990s with the 10.5-inch converter. JR: I thought for sure everything had been done in the racing side; it was my diesel work that got me involved in racing. A friend of mine introduced me to Kenny Duttweiler back in 1995 or so; he was searching for a good diesel converter, and that kicked off a relationship that led me to work on turbocharged racecars and imports. I was also working on big cubic-inch nitrous-powered cars and late model GM overdrive transmissions in Corvettes, and I was always looking to do something different and new. So I was looking for a new unit that would work better. I was the first guy building that 10.5 converter—it was based on the Cadillac Northstar converter. Those converters came out in 1993 in the Cadillac Allante, and I was building them before 1995. I was lucky enough to buy a few thousand cores out of Detroit, and I remember arguing with my family about it—they didn’t understand why I spent so much money on cores that we wouldn’t be using for years, and I had to convince them that they’d be used for performance converters. They told me I was nuts, but I was just nuts enough to be right. 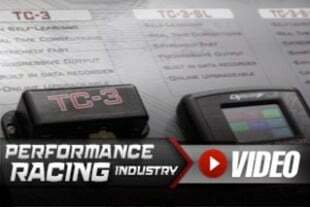 ProTorque has been manufacturing racing torque converters for decades. 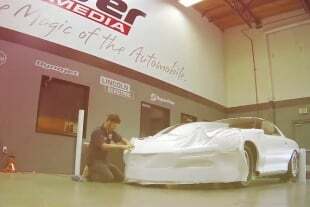 The company boasts several “firsts” among the accomplishments it has achieved with its race team partners. DZ: What was so special about that design that attracted you to it, and what did it do to improve performance over what was already out there? JR: The premise back then was that all of the current cast of performance torque converter guys were building performance torque converters out of platforms (ed. Note: “platform” means the pump and turbine) from the 1960s and 1970s. I looked at how the OE manufacturers had made so much bigger strides since then, so why don’t we make performance converters out of newer cores. The factories were working on designs that were far more efficient and stronger. The Northstar was 300 horsepower; today that’s not a big deal but the cores the other guys were building were out of 150-horsepower cars. The newer converters were built stronger from the get-go. In 1996-’98, we were in a bunch of the print magazines for the torque converter platform we were using that was coming out of brand new cars. DZ: We understand that ProTorque was the first to the market in the automotive racing world with a billet stator. JR: There were a couple of guys in the diesel performance world who were doing a billet-type stator, but in the racing world nobody had made one. I started off with hand-building some stators, and I realized that there was no way to get the consistency that I wanted. No matter what I did with the tooling, they would always be off just a little bit no matter how accurate you were trying to be. I had converters from some of the other companies and realized that there was no consistency between any of them, so I actually created an individual blade instead of a stamped-steel flat blade. I created a billet airfoil design, because I wanted to be able to create consistency. So then I decided to just mill the blade into the stator—that nearly put me out of business because I spent hundreds of thousands of dollars developing stators—but at that point the OE business was supporting the performance business. Pro Torque’s billet stator design was the first anywhere, and was the result of several years of research and development efforts—not to mention uncountable stacks of Benjamins—to achieve its now-legendary performance. DZ: So you’re saying that the billet stator was really the start of the ProTorque revolution. JR: The stators were my hobby. I built the best stock converter I could build, but that’s like saying I made the best bagel. You put it into your belly, it fills you up, but there’s no quantitative message to prove that one is better than another. In racing, I could very much prove that our stuff was better, which I loved. I’m making five and 10 of each stator to figure out which was better and which was worse. Out of the 500-plus stators I made, most of them were losers. I’ve been wrong more than I’ve been right, but I’ve been right enough to make it count. Back and forth, back and forth, it was like going to an eye doctor. The reason we became more successful had less to do with what my design was, but more to do with diagnosing what worked and what didn’t. That’s about learning how to read data. Our number one success really has nothing to do with torque converters, and every thing to do with deciphering the data our racers share with us. DZ: It’s clear you jumped ahead of the game with the street performance side of things, but where did the Revolution Series converters come from? JR: There were lots of guys building performance converters, but the key guys were missing what turbo racers were looking for. I had been doing nitrous converters for a long time as a hobby, and we were doing well with guys like Musi and Scotty G and Leo Barnaby, but I wasn’t really doing it seriously. When Leo died, he had just moved into a turbo car, and I realized that with all of the knowledge I had accumulated, I had to get involved in racing. So I did. I got hooked up with Job Spetter, and he was the mentor to help me develop the Revolution Series converters. I made all these billet stators, and once I got to the one that I thought was the best billet stator, we realized the converter still wasn’t doing what we wanted it to do, and that’s when we changed the platform. That’s when I started experimenting with new stuff like I did back in the 90s. Haley James (left) and Frank Varela (right) won the NMRA's Coyote Modified and Renegade championships respectively in 2018, with Pro Torque converters on board. DZ: Size matters, but not really, right? It’s more about how the combination of parts works together with the engine and transmission combination. JR: We use a specific core [ed. Note: he wouldn’t tell us the details!] with my stator configuration; I engineered the stator to work correctly with this platform. This platform is not anything I own, and I never did, but I was the guy who used it first in conjunction with my stator development to allow us to have critical success in the racing world with turbo cars back in 2011 and 2012. DZ: So you had been working on the stator design but didn’t have a platform to use it with that you thought would be effective. How did you discover the right core? JR: My extensive knowledge of stock-rebuild torque converters. We’ve built everything from forklift converters to 7-inch conveyor belt converters. My overall knowledge of converters in general made me think, “If this doesn’t work, what do I need it to do, and what core might do that?” I was able to start experimenting, and found what I needed. DZ: Do you worry about your competition getting inside your product, since the torque converter and its benefits can often be considered a black art by racers? JR: I don’t own the configurations. People can copy yesterday’s thought process, but they can’t copy the innovation and what’s coming down the pike. They can’t copy my comprehension of how the components operate together. The comprehension comes from understanding the basics of how the torque converter operates, and the knowledge of how we can make that fit in racing. The progression of Pro Torque has occurred because of the synergies of understanding racing applications and OE torque converter operation: what was it originally designed for, and what are we asking it to do? Super Dave Adkins has been a champion of the LS engine platform, breaking into the 5s last fall with a 5.97 at 243.11 mph while testing for the Shakedown. 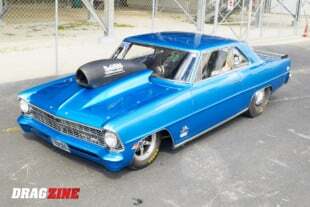 He runs a twin-turbo 427-cube LS engine in front of his Pro Torque EV1 converter. DZ: ProTorque has been instrumental in the success of several racers achieving the milestone of breaking into the five-second zone with a particular combination. 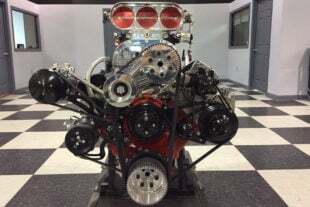 Brad Brand, Larry Larson, Greg Seth-Hunter, Kevin Fiscus, Dave Adkins, and Mike Ziccardi have all used ProTorque’s products [the Gen 1, The GenX, and the EV1] to get there. 10.5W tires, 315 radials, modular Ford engines, and the LSX platform have all gotten in on the party. What’s the secret? JR: The Gen 1 is the original, weld-together Revolution Series converter. The Gen X is for a car that makes a bit less horsepower, and the EV1 is the bolt-together version of the Gen 1 converter. I always swore that I’d never make a bolt-together converter because I thought they were unsafe and I couldn’t get the hardware that I needed to do them right. Boninfante had been after me for a while to do a bolt-together converter, and stepped up to make the hardware I needed. I used my knowledge of industrial torque converters and designed it with a steel-on-steel contact point with a D-shaped bolt. As you tighten the bolts, it put the aluminum into compression, and even if the converter did get hot, it would expand at a higher rate than the steel would and put it further into compression. So we didn’t have to worry that the bolts were going to come loose or the converter would split in half if it got hot from a racer sitting on the transbrake. At that point there were lots of companies doing bolt-together converters, but right after I came out with the through-bolt design, NHRA mandated it for Pro Mod; we were first with it. It wasn’t hard to do, but nobody thought to do it. In my mind, it was the only way to do it. DZ: Let’s talk lockup converters for a moment. What type of efficiency are the top guys seeing with those right now? JR: In a quarter-mile car, if it’s geared properly, we’re going to see low single-digit efficiency numbers: 2, 3, 4-percent. In an eighth-mile car, we’re going to see mid-to high numbers, 4, 5, 6, 7-percent. We’ve done the lockups and have been vetting them out all year. 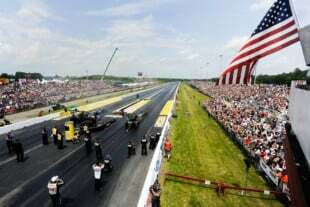 Mills went 3.66 with it, Scotty G has won about $100,000 with it, and Bumblebee (Jeff Miller) had the 275 tire record with it. Lockup for lockup, every converter is the same. But it’s what it does when it’s multiplying torque before lockup that matters. That’s what makes the difference. The limiting factor is always the coefficient of friction between the tire and the track. If you’ve got 5,000 horsepower, you can’t usually use that. So it’s about using what you can when you can use it—power management. In the case of the Sweet 16, where DeWayne Mills went 3.66 with our lockup converter, the conditions were so good that they were absolutely able to use what they had and lock the converter up to transfer as much power as possible. But the scenarios where that happens are few and far between. It’s just another tool to get the job done. Do I think a lockup is faster than a non-lockup? When all the moons align, and the track is right and the car’s right and the gearing’s right, I think a lockup is faster than a non-lockup. I can see the point for both types of converters, and for a customer who wants the capability but isn’t sure they’ll use it, they can order one and our converter will function the same way whether they choose to lock it up or not. Yet another racer from the Street Car Super Nationals—Greg Seth-Hunter—broke into the fives, this time as the first racer with a Ford modular engine and an automatic transmission. DZ: What’s next for ProTorque? JR: Two things. We’re going to use what we learned on ultra high-horsepower cars and trickle that technology down to every vehicle combination, so we can bring this technology to the masses as quickly and efficiently as possible. What we learned in Outlaw racing needs to be available to the lower-horsepower cars. So, the traditional 8-inch, 9-inch converter that everyone’s been using forever—it’s been bothering me that I haven’t been able to find something that’s better. 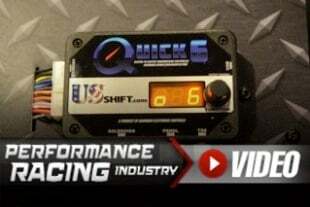 Well, guess what—I’ve stepped up to something better and blown it away with our new U9 converter, which we debuted at PRI. I think that at the end of the day, it will trump every other thing that I’ve done by a large margin. I’ve been working on it for the last year-and-a-half, with Joel Greathouse, Shaun Arnold, Haley James, Frank Varela, one of JJ DaBoss’s cars, some unmentionable grudge cars, and others. I have not seen a converter act this way, perform this way, or behave this way since I originally introduced the Gen 1 Revolution Series. I’m generally conservative when I make statements, and I can’t overstate what I’m telling you—this thing is as bad-to-the-bone as anyone could ever imagine. I haven’t been able to find the limit on this thing. This really is the holy grail of the 800–2,000 horsepower level. Also, we are ramping up production for our street car lineup and we have partnered up with Transtar, the biggest distribution company in the aftermarket transmission industry, which will be carrying our full line of performance torque converters.